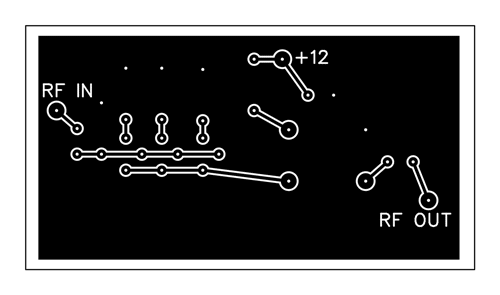 Tonight I converted the schematic to a layout for a printed circuit board. I had several realizations tonight as I was laying this out. I removed the parallel base resistors and replaced it with a single resistor. I converted my 120 mil parts to 70 mil parts. The backplane of the board is now solid copper. I figured out how to change the pilot hole size. I figured out how to change the size of the "copper-to-copper fill clearance"
I figured out how to change the "hole-edge to copper-fill clearance"
hours ago. Quite a few tweaks in my process as I spend some time bonding with FreePCB. 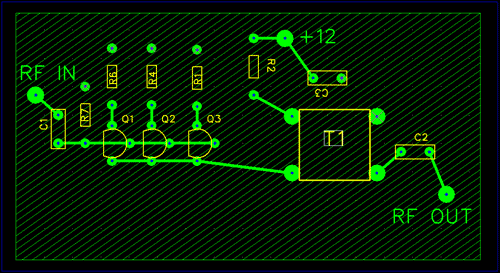 I think that this will probably one of three boards that I will try to etch on Saturday.